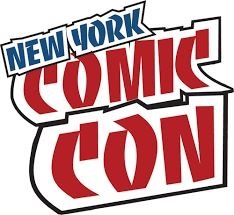 Topps today announced its plans for this weekend’s New York Comic Con. Topps will have its usual presence and will be promoting many of its card brands. Among those will be Garbage Pail Kids. 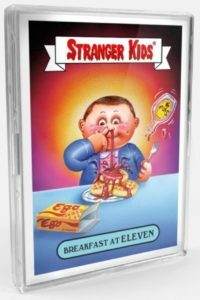 Topps announced there will be a special parody set of Garbage Pail Kids Stranger Things. All 20 cards were painted by artist Joe Simko. The 40 card set will be available in two separate 20 card “a” name and “b” name sets. Each set will be available at the show for $19.99. Collectors purchasing both A & B sets will also receive a special promo card only available at the show. 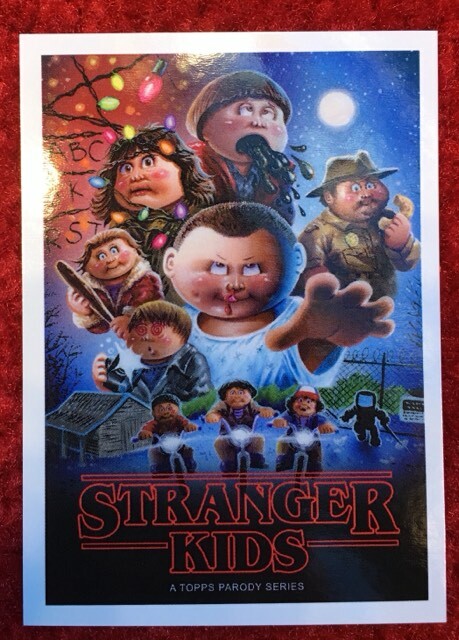 Topps also said the GPK Stranger Things sets will be available for purchase on topps.com, without the promo card. Topps also announced that Joe Simko will be in the Topps booth on Saturday from 1:30 – 2:30 signing autographs. 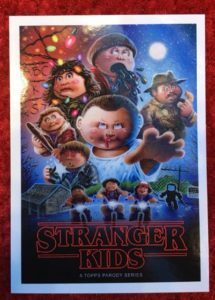 Topps also announced they will be passing out a GPK promo card on Saturday. They have not revealed the card as of yet. 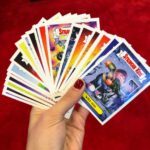 Lots of fun stuff in store for GPK collectors at this weekend’s NYCC! This year’s New York Comic Con is set to take place is just a few weeks from Oct. 4-7. Funko has begun revealing their exclusive figures for the show. Yesterday they revealed via their Facebook page an exclusive Metallic Adam Bomb POP! figure. The figure will be offered at the Toy Tokyo booth. It will also be limited to 3000 copies. 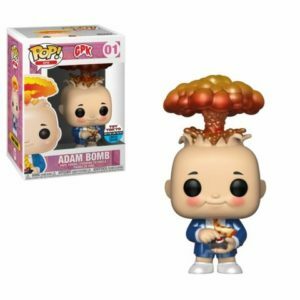 Word from Funko collectors say figures from Toy Tokyo are nearly impossible to get, so many collectors will have to resort to ebay to get their Adam Bomb fix. Topps is scheduled to attend the show, but has not announced any exclusives yet. 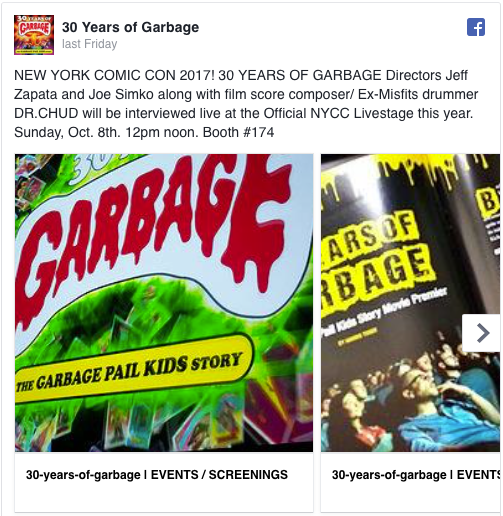 This week’s New York Comic Con is set to have a big Garbage Pail Kids presence. The show is set to take place Oct. 5-8 at the Javits Center. 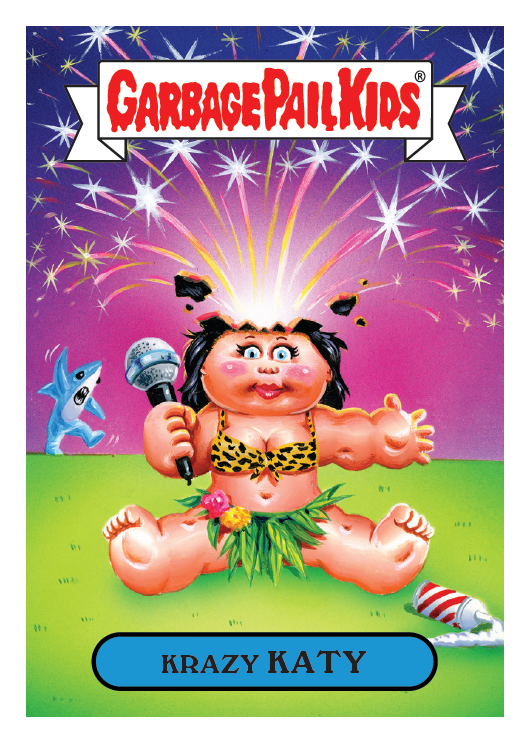 Topps, Santa Cruz, 30 Years of Garbage, and Wish Factory will all have heavy GPK presence. Read on for what you can expect and where to find it! 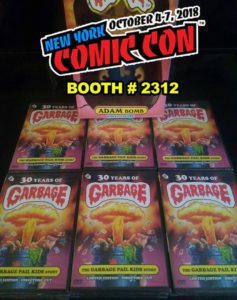 As usual Topps will have a booth at NYCC this year. 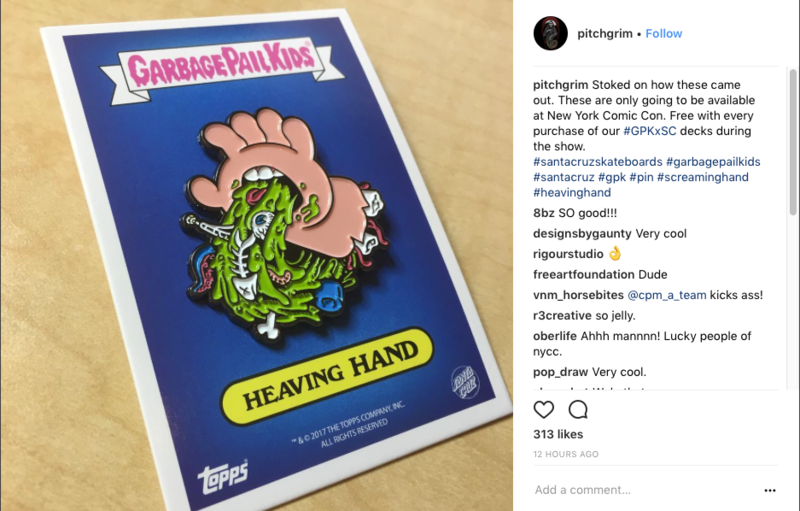 Topps skipped GPK at this past year’s San Diego Comic Con, but GPK is back for NYCC in a big way. Topps has big plans on Saturday for GPK. For the first time since 2014, Topps will be handing out a promo card for 2017S2 GPK Battle of the Bands. Topps will hand out the Katy Perry parody on Saturday to show goers, while supplies last. 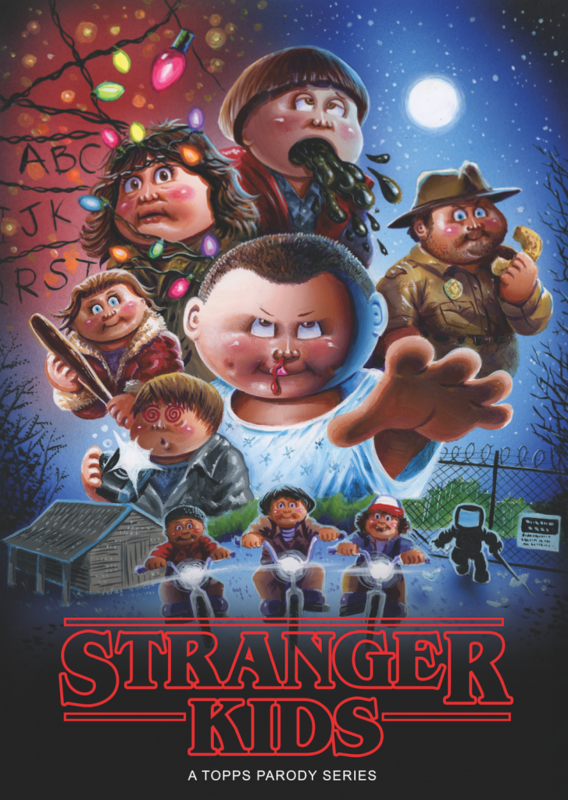 GPK artist Joe Simko will also be signing the promo cards on Saturday from 1:30 – 2:30 at the booth. Topps will also announced they will be busting GPK boxes on Saturday at the show. You can find Topps at booth #454. Santa Cruz skateboard company will be selling their blind bag GPK themed skateboard decks at the show. Set to officially launch on 10/9, collectors can get their hands on these boards at Topps’ booth (#454). Santa Cruz artist Pitchgrim posted on Facebook that Santa Cruz will have 400 boards on hand to sell. As a special bonus only for the show, each board purchased will come with an exclusive Heaving Hand enamel pin. The excellent GPK documentary 30 Years of Garbage will also be featured at the show. Directors Joe Simko and Jeff Zapata will be interviewed on the NYCC Livestage, booth #174, Sunday at 12:00. 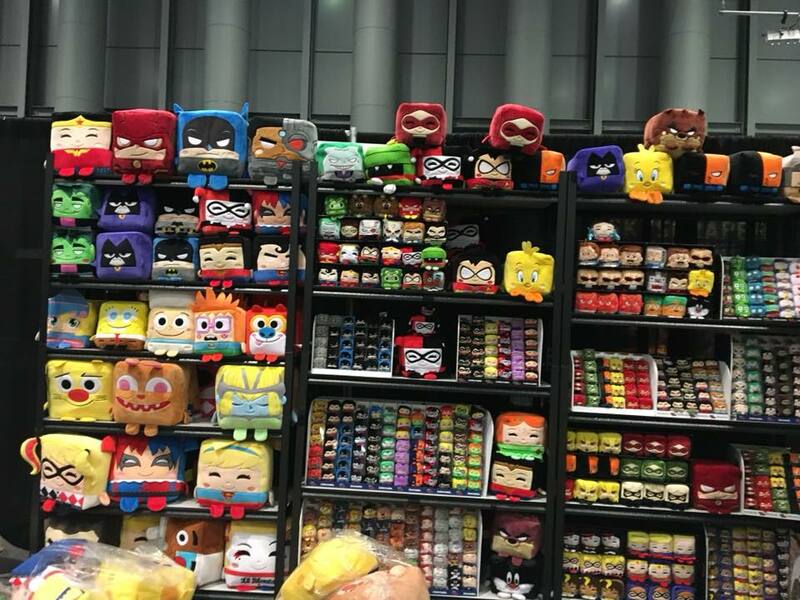 Wish Factory will also be at this year’s New York Comic Con in booth #243 selling their Kawaii Cubes plushes. 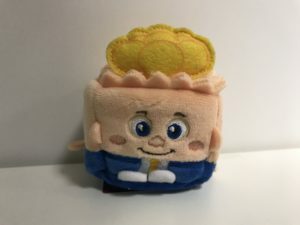 They will have both the small (2 inch) for $5 and medium (4 inch) for $10 GPK plushes available for sale at their booth. 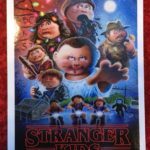 Creepy Co., another Topps GPK licensee, will be sharing a booth at NYCC with Toy Tokyo (#588/688). They will not have any GPK merchandise at the show, instead focusing on their My Pet Monster line. But the company is offering discount cards to show goers. They also would love to hear from GPK collectors at the show, be sure to stop by and say hi. 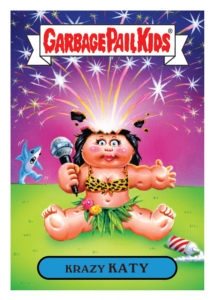 If you are going to the show, keep your eyes open for all the GPK goodness! 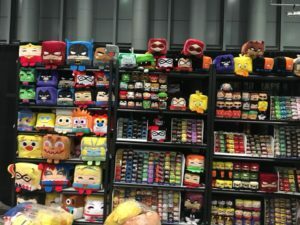 In an interview with GPKNews this week, Topps Brand Manager, Entertainment, Mark Von Ohlen revealed details of Topps’ offerings at the upcoming New York Comic Con. This year’s show is scheduled for Oct. 6-9 at the Javits Center in New York. This year’s show comes right on the heals of the launch of the next retail GPK set, Prime Slime Trashy TV. 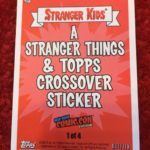 Topps attends the NYCC every year, and like SDCC, usually has exclusive merchandise available. This year will be no exception as Topps will offer a Trashy TV themed set with 5 pieces of new artwork. The 10 card set (5a/b) will be available for purchase for $29.99 at Topps’ booth #454. Topps will also have a Star Wars Rogue One exclusive card set available, giveaways, and other surprises.